Comment: The gutter has come loose from the house. Comment: It is a super gutter attached to the pool cage. The end cap, the inside corner and one other place is leaking. The super gutter a 5 inch box shape. Comment: Im on the association board for 5 condo buildings located in Pelican Preserve on Amiata Way Fort Myers Florida. We have three areas damaged by trees whipping and damaging the gutters. We would like a estiment on replacing the seamless gutter and if possible clean the gutters on all five buildings front and back. the buildings are at least 65 foot long and three stories on the sides and four in the middle. Fort Myers Gutter Cleaning & Repair Services are rated 4.76 out of 5 based on 974 reviews of 27 pros. 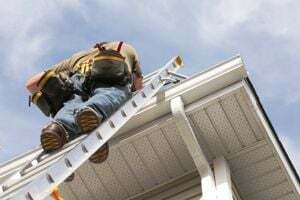 Not Looking for Gutters Contractors in Fort Myers, FL?